Radio José | Escalo El Capitan de Yosemite desnuda! 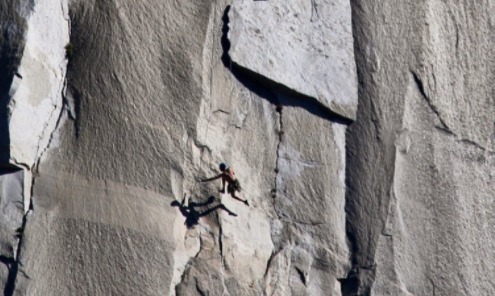 Escalo El Capitan de Yosemite desnuda! Another Yosemite season has come to a wrap for me. Pictured, is a naked Jon, sending it on the King Swing. In the spirit of bold transparency and vulnerability, I'll admit I went into this season at a weird mental point. I didn't make many friends during the winter, and was feeling a bit lonely. Even with my wonderful partner Robbie, I missed having a solid community of friends. And then, I was laid off. So I went to the Valley with a fistful of goals. The support from all you monkeys was overwhelming, and any doubts and loneliness I felt were quickly smothered by love and long days. Life is a swing in itself. When I'm at a low, I try to remind myself that good times will come again. Thanks to you all for such a good time.